In the context of research projects, innovative fuels were identified as promising substitution candidates for today's diesel fossil fuel. In addition, an engine control concept was developed by the project partners - the Center for Mobile Propulsion, the Cluster of Excellence Tailor- Made Fuels from Biomass at the RWTH Aachen University and FEV Europe - which enables the use of these fuels in series production vehicles. 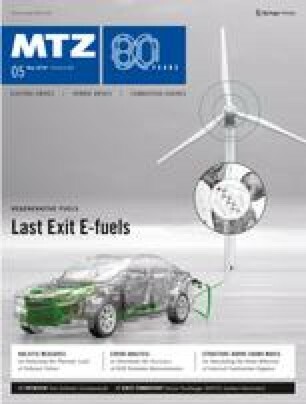 This article discusses several results of the combination of these fuels with the control concept.